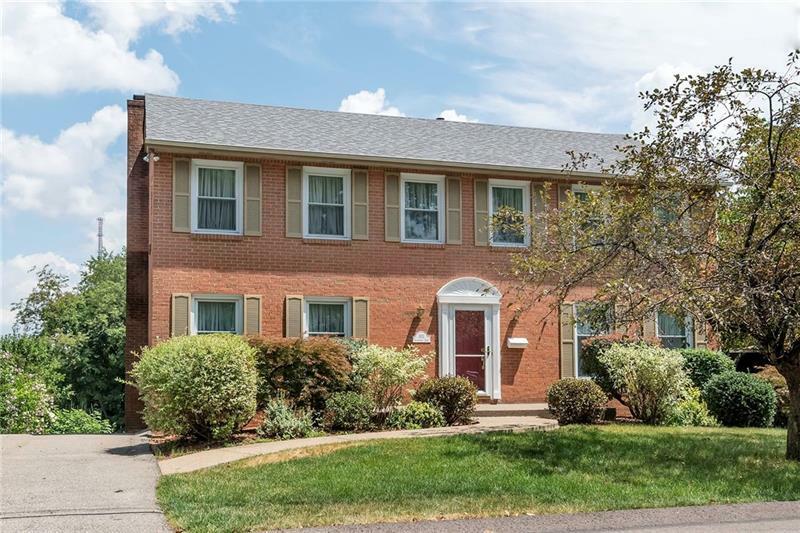 This brick colonial sits on a double lot (second lot buildable), w/many custom features, matching stain on all doors, windows,woodwork throughout the home. 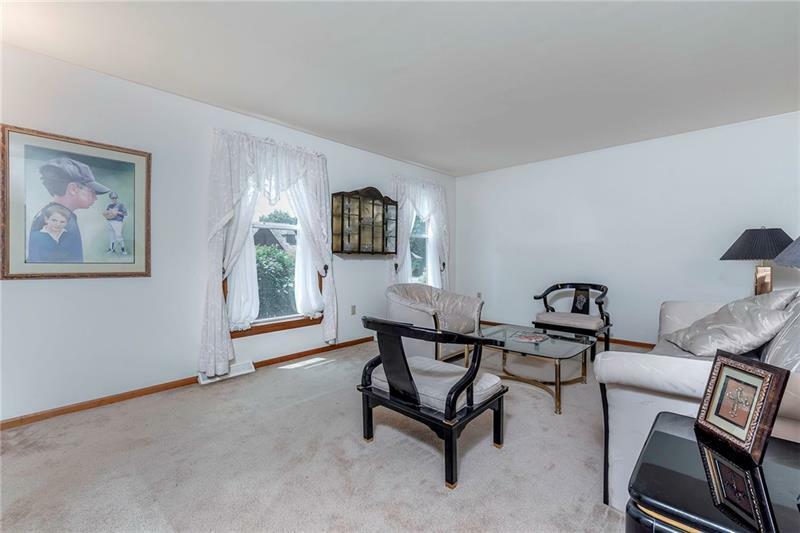 Bright spacious living & dining rooms off of the main entrance. Eat in kitchen offers quartz counter tops, center island w/sink, double gas ovens, unique light fixtures, ample storage. 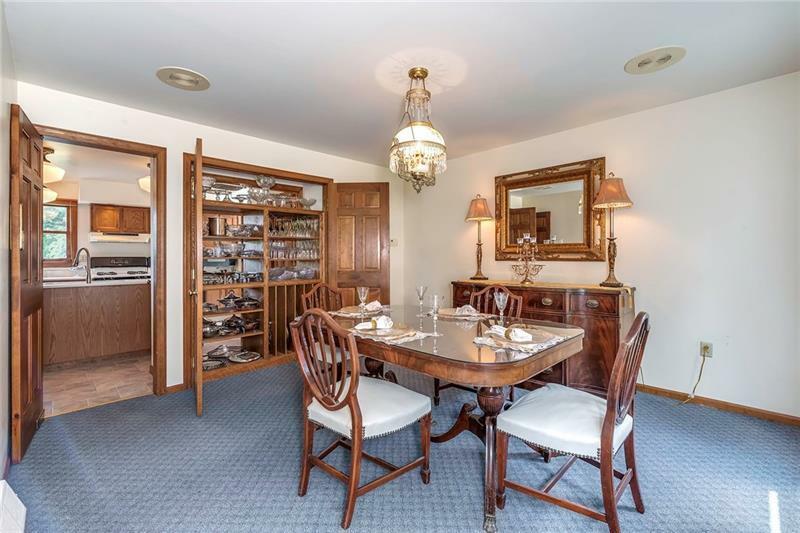 Custom double sided built in china cabinet between kitchen & dining room makes storage very convenient and doubles as food server/buffet.Family room offers a fireplace w/heatilator. 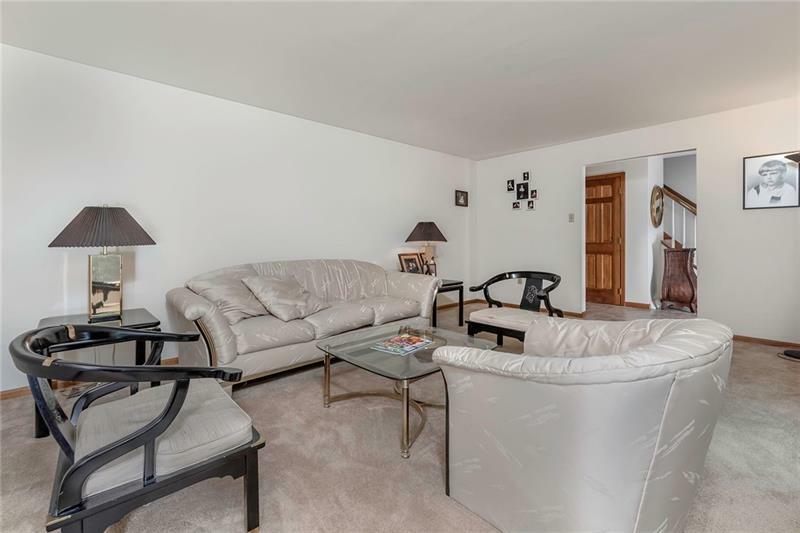 Finished basement provides additional entertainment space,includes a laundry room,full bath, entrance to the garage, walk out to backyard, lots of storage. Master bedroom with walk in closet, full bath and includes a separate sitting area or nursery that can be converted into a 4th bedroom. The guest bedrooms are spacious, lots of windows and closet space. Newer roof, AC, water heater, furnace, windows. Double layered French drains and waterproof coating & security system. Courtesy of Century 21 Frontier Realty. © 2019 West Penn Multi-List, Inc. All Rights Reserved. Information Deemed Reliable But Not Guaranteed.